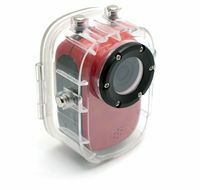 The Extreme Sports Cam records color video with audio and has excellent low light recording for twilight excursions. The included accessories also give you numerous options for mounting, be it on a bike, helmet, car (inside or out), or anything else you can think of. 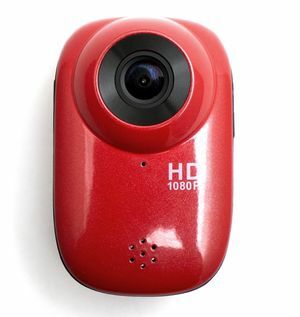 The ESC supports up to 64GB micro SD cards, can recharge while still retaining its recording functions, works as a webcam, and even supports HDMI out so you can immediatly review your footage on the big screen. The ESC seals the deal by wrapping the whole thing up in a sleek waterproof (up to 30 meters) case and a choice of 3 colors.